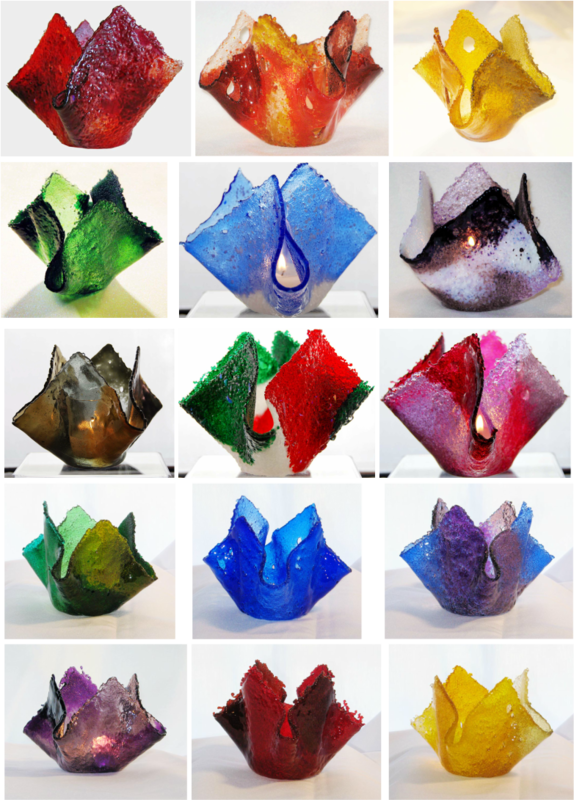 My signature candle holders are made with crushed glass so I can create custom colored glass. I enjoy making custom candle holders for people so they can have something unique made especially for them! I also make candle holders using beautiful sheet glass. Sometimes the sheet glass is so lovely on its own that it begs to be the highlight of a piece. Draped candle holders are a perfect way to showcase this beautiful glass! For a listing of available colors for the Signature Candle Holders, please see the PDF document below. If you are unable to view it in your browser, a link to download is available at the bottom of this page.